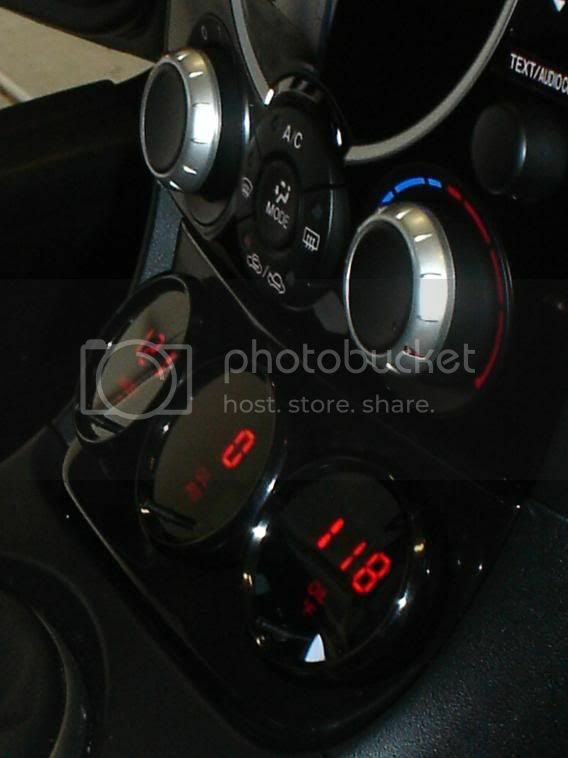 I've always liked the idea of the Racing Beat Gauge pod but I never truly cared for the gauges that come with it. After some research and help from a forum member, I decided on trying out the Nordskog Street Digital's. The bonus to using the digital gauges is it eliminates the need to run Stainless steel lines (of hot fluids) into the back of the gauge pod. A leak there would be really bad. If you're thinking of going this route, here's what you'll need. Update on Nordskog As of 9/15/2009, Nordskog has ceased operations indefinitely so you will no longer be able to buy these gauges. All you have to do is substitute another gauge manufacturer and follow the instructions below and you should be all set. - Racing Beat Installation instructions. Most of these instructions are still relevant even though we're running the wires through a different area. Pre-assemble everything. 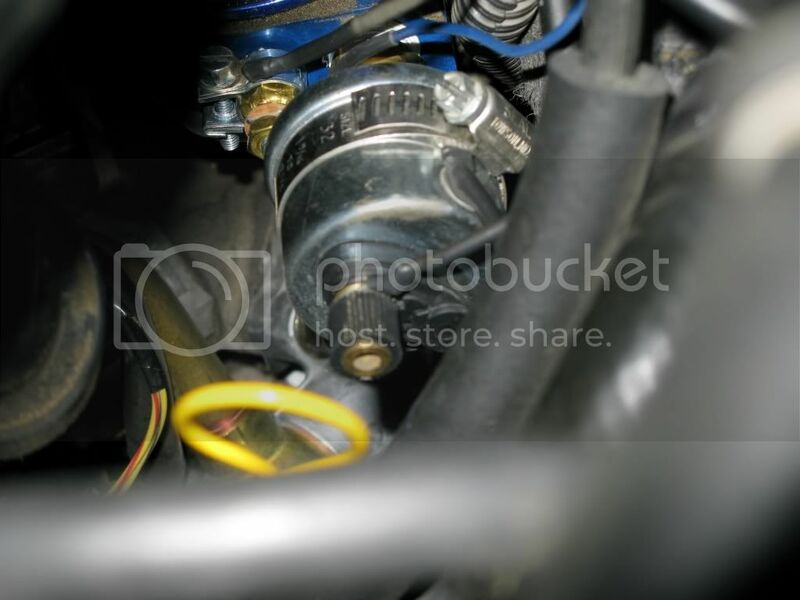 The area around the oil filter is VERY compact and you will not have room to maneuver. Please excuse the dirty engine bay ... didn't get a chance to clean it before the pics were taken. 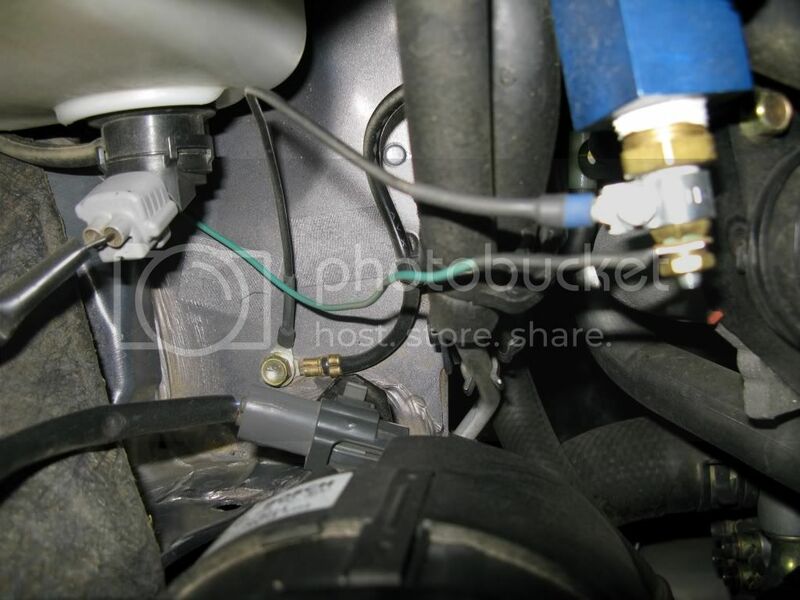 Body of the oil pressure sending unit grounded with a larger hose clamp and wire; body of the oil temperature sending unit can be seen above (behind) and to the right of the large oil pressure sending unit. It was grounded the same way as the water temp sending unit. 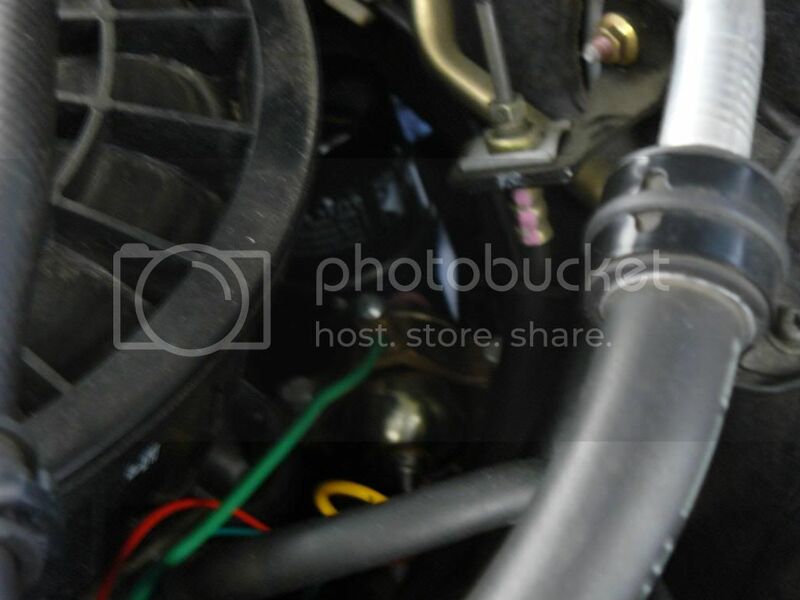 Just a side note: it's best to connect and tighten ALL the sending units and wires to the RB oil adapter before you install the adapter --- you won't have very much room to turn wrenches down there once it's installed. 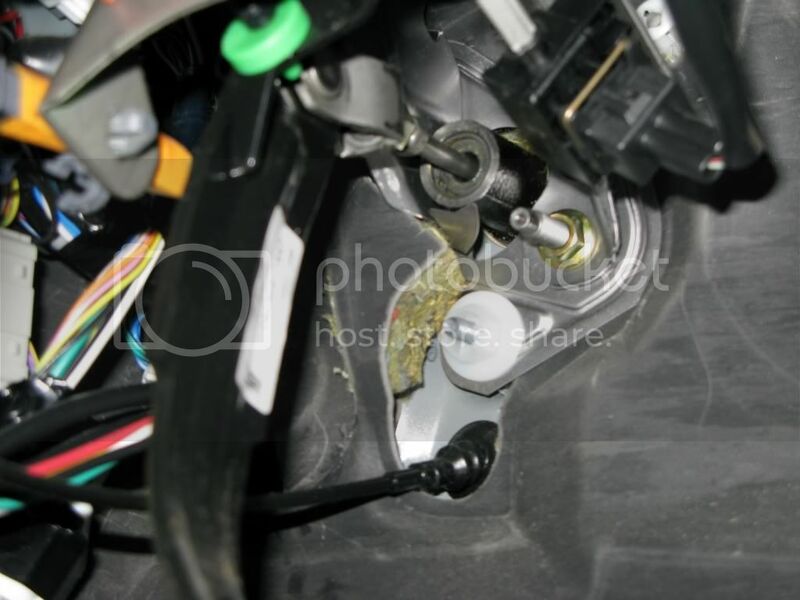 Access to the engine bay can be made through the large rubber grommet just above and to the right of the clutch pedal. 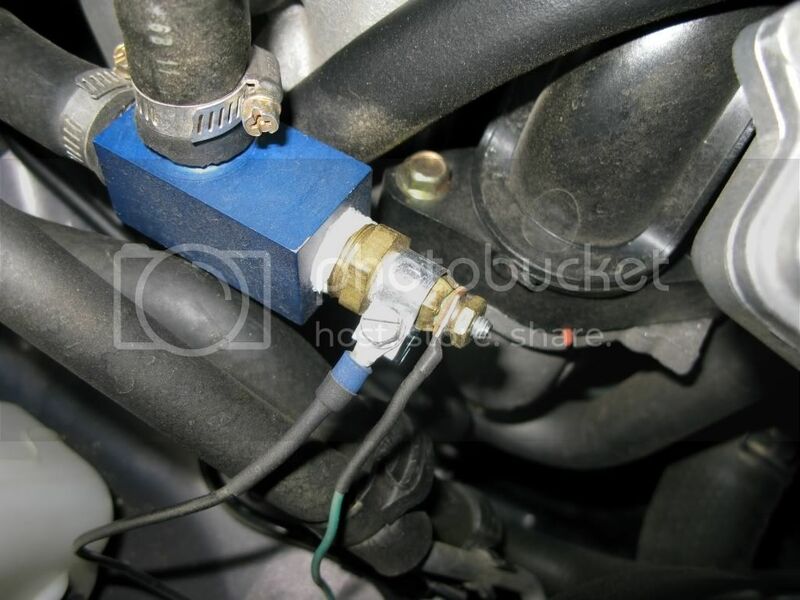 This grommet already supplies a large bundle of wires to the engine bay, but by cutting a slit in the grommet, in the trough surrounding the existing wire bundle, you can push your wires through to the engine bay. They'll exit just below the master brake cylinder. Close-up of the grommet. 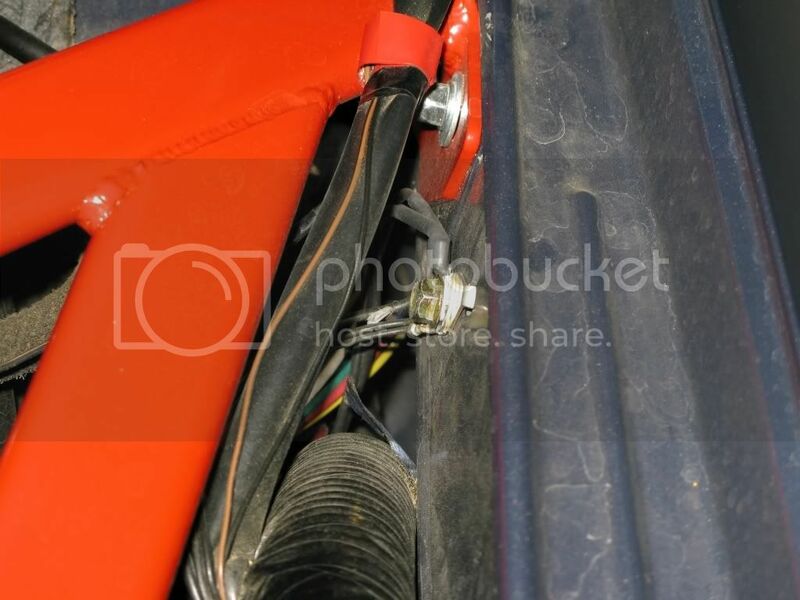 Note that there's kind of a rubber flap that straddles and covers the large wire bundle --- this can be lifted up and out of the way for better access to the grommet. You can see the wires (six 18-gauge wires and two larger black wires for the Tein EDFC) that I fed through just inside the rubber-like flap that covers the grommet. I used the Exacto knife to cut a 0.5 inch (approx.) slit in the trough for the wires. I tried resealing that section with silicone sealant, but it got a little messy (and probably not necessary anyway). The rubber grommet is difficult to get to and running wires through is just as much fun. One trick I used here was to puncture a small hole using a sharp knife and then wedge a long socket into the grommet. This will allow a passage way for you to run all the wires. 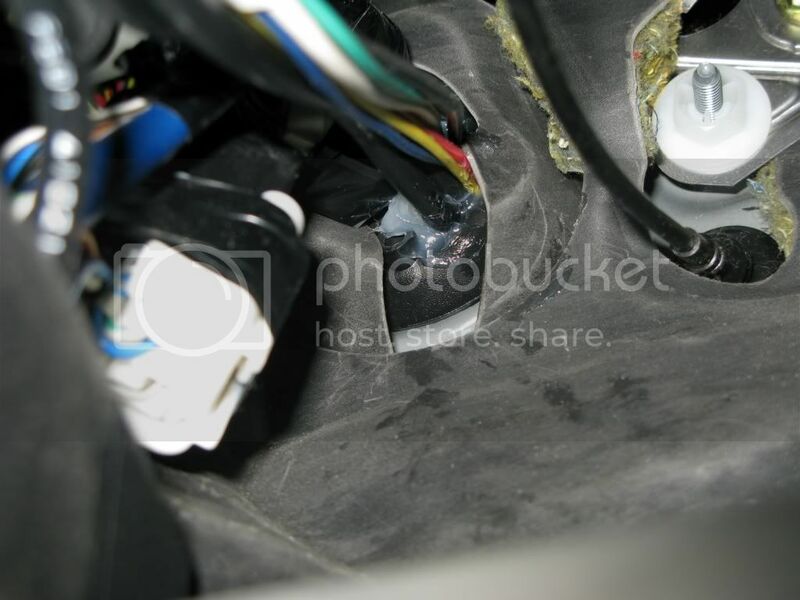 Once you have the wires through the gromet, remove the socket and seal with silicone. 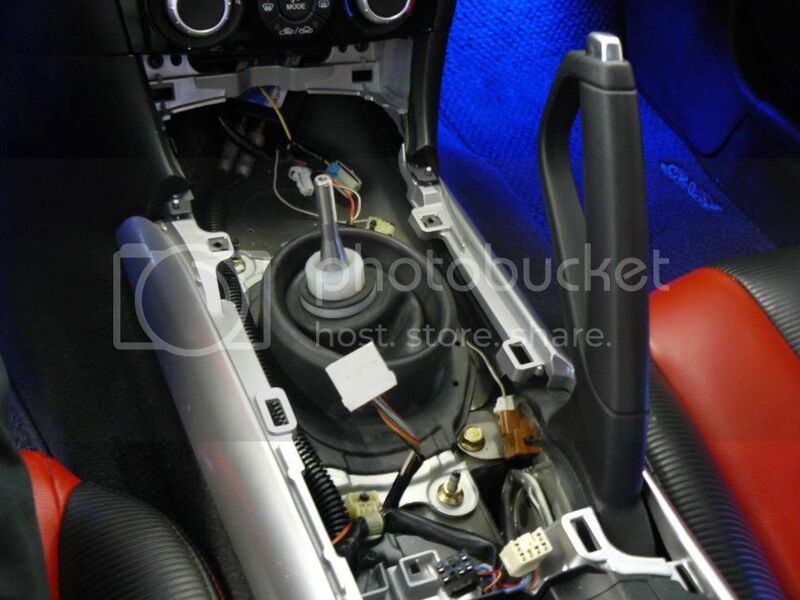 The wires will then be run underneath the steering column and towards the back of the center dash. You'll need a few zip ties here so you don't have any wires hanging loose that could eventually get caught on something. Here is where the soldering gun came in handy for me. Instead of running 3 grounds (one per gauge) and tapping 3 wires off of the power source, I ran ONE wire, and soldered 3 small wires off of the source. A screw on wire tap would accomplish this same goal, its up to you which route you want to take. Thanks to forum member Newcastle for assisting in the installation. We actually installed this mod on both of our cars. Side note: this is not a HARD mod to install, it will just require some patience, some general mechanical skills, and lots of time. Set aside a 3-4 hours on a weekend and I'm sure you'll find that your time was well worth it. If there's pictures of anything else you need just let me know and I'll either post them right up or go out to the garage and take them. Last edited by Jedi54; 06-27-2011 at 12:45 PM. very nice install i plan on running the same setup as you very soon glad to see pictures and details! p.s. 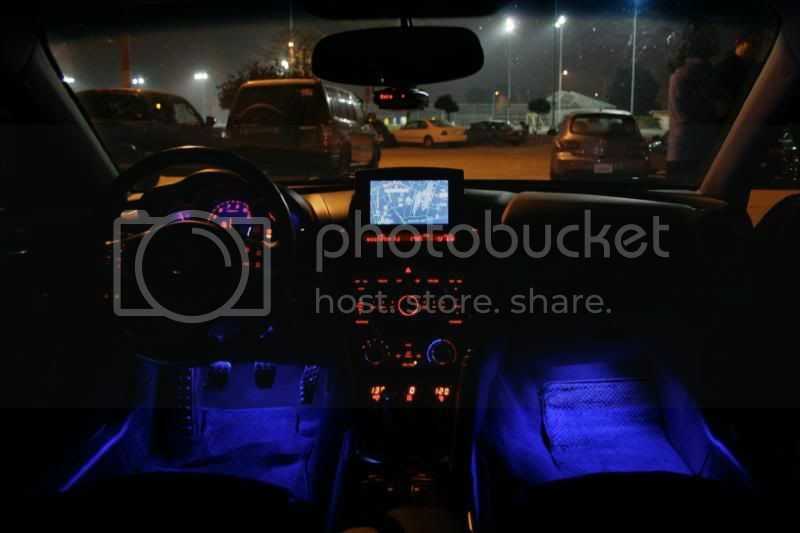 - i really like those footwell lights you got! Very nice! Seems like a great solution. Sticky this for sure. I was curious after you coolant has warmed up how much longer does it generally take for the oil to warm up? I am just curious how long after my coolant needle reaches its max can I really run her hard. Thanks everyone! Glad to see you guys like my work and the requests for a sticky are a great compliment. Maybe the mods will listen and grant this a sticky. 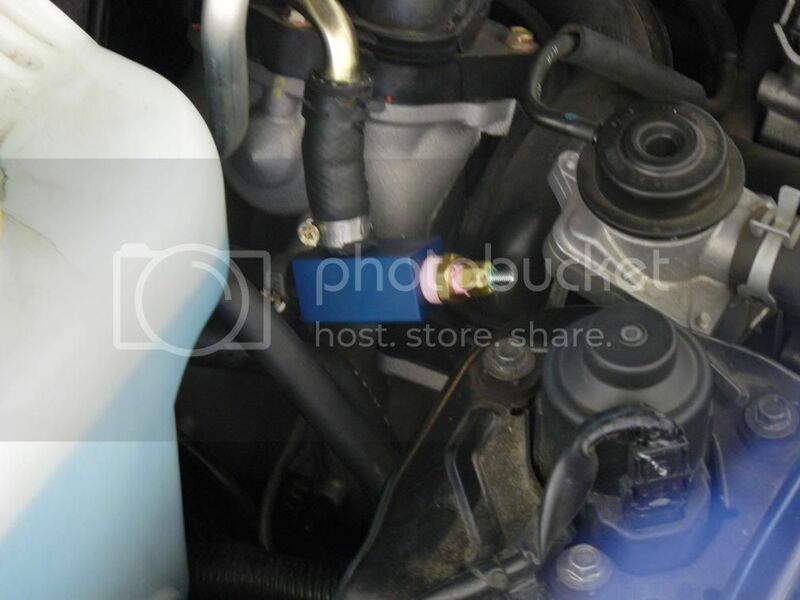 RX8: I am running the High flow pump from Mazmart so my coolant temps change a little faster then with the OEM. At highway cruising speeds the temperature of the water is approx. 182 degrees. Usually a minute or two after that the oil has settled somewhere in the 165-170 range and you can start driving agressively. Last edited by Jedi54; 12-25-2007 at 04:25 PM. You can recall the highest reading since the last time your car was turned on. The oil pressure gauge will tell you the lowest AND highest pressure it's logged. Last edited by Jedi54; 12-25-2007 at 07:27 PM. youve got an excellent set up jorge..
very nice look and good write up..
ok sorry i forgot, this was a two car deal..
Last edited by scremn8; 12-26-2007 at 09:25 AM. 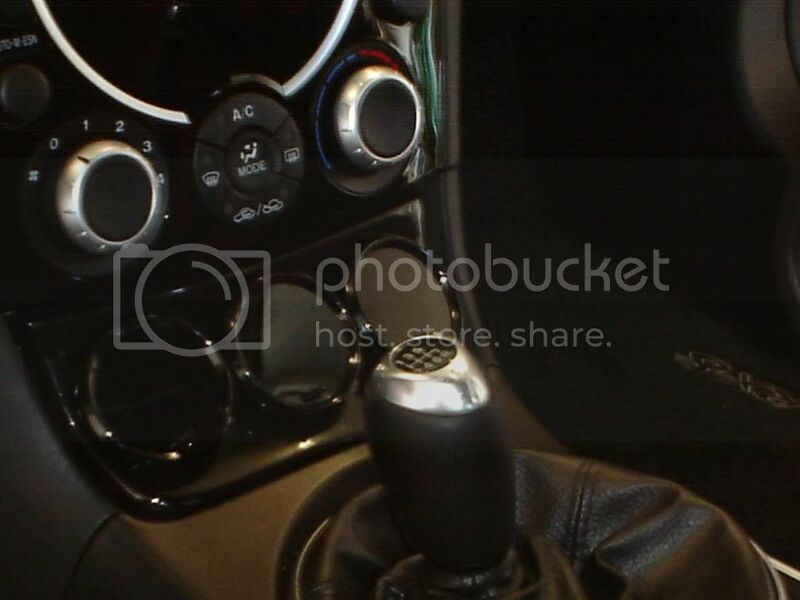 That looks really nice, matches the interior very well. Digital readout is the way to go for that location. HAHA!! The Radio Shack guys kept giving me funny looks, they must have thought I was building a bomb. nice jedi, i was looking to put on such gauges too... but seems too complicated for me. 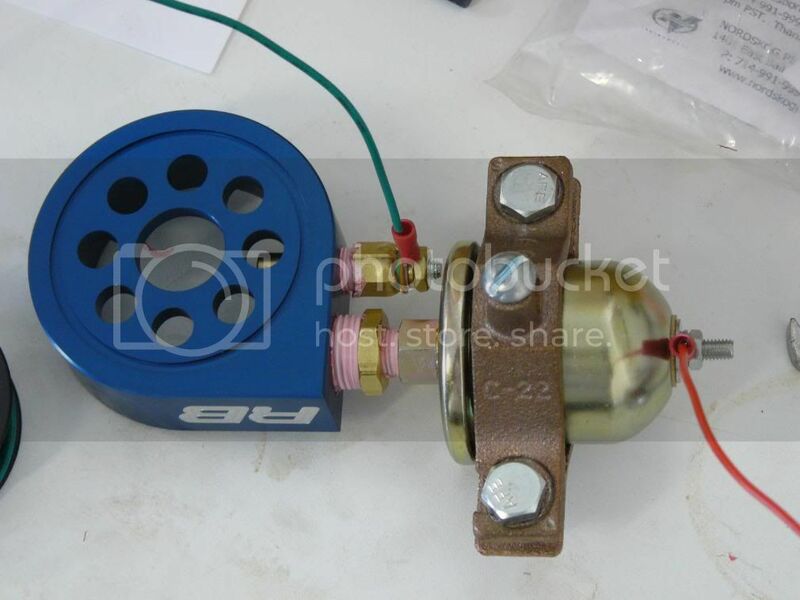 do you know any shop which can do it for me or how long do you take to install those? that set up is off the chain, jorge! haha well done!!!! 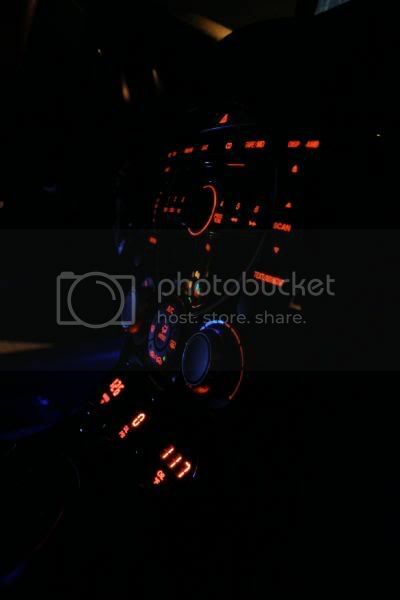 Now what are thecons concerning digital gauges over mechanical? if you mean cons of electrical versus mechanical, they run off the 12 Volt power. if your electrical system goes haywire it can affect your readings. but electrical gauges now-a-days are pretty reliable. I really like this mod, especially the fact that only wires run into the cabin. This is going on my list of things to do. Very slick, nice detail in the write up. Only problem now is where are you gonna put your weed? 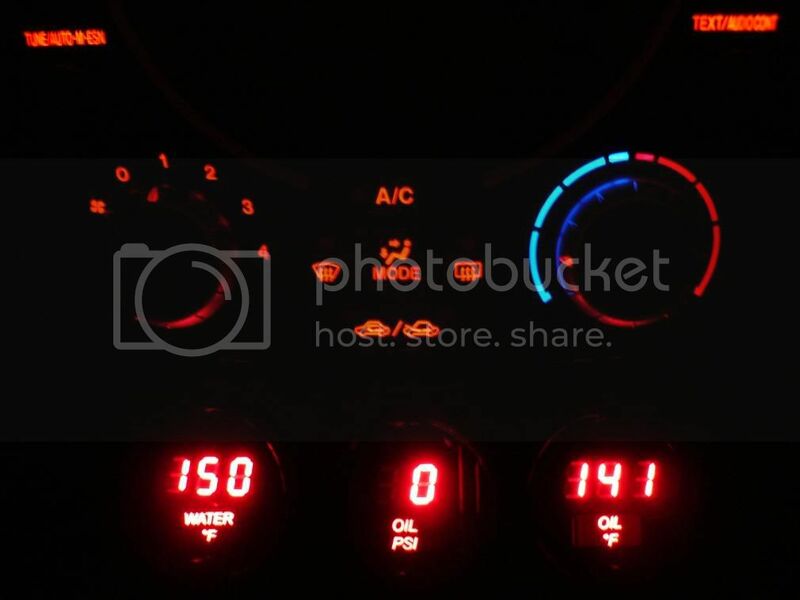 how much did the 3 electric gauges cost you? 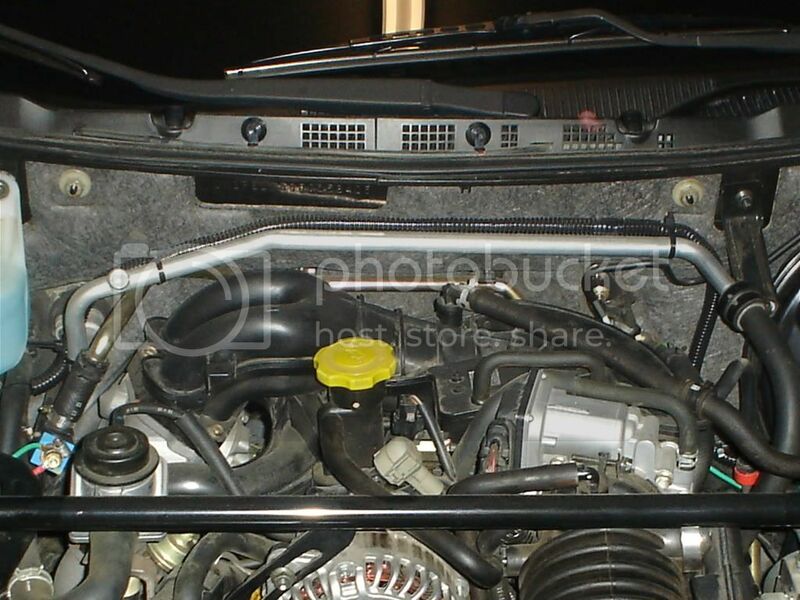 im gonna buy the rb gauge pod in the new few months. but digital looks really nice. how much can you sell the oe gauges? 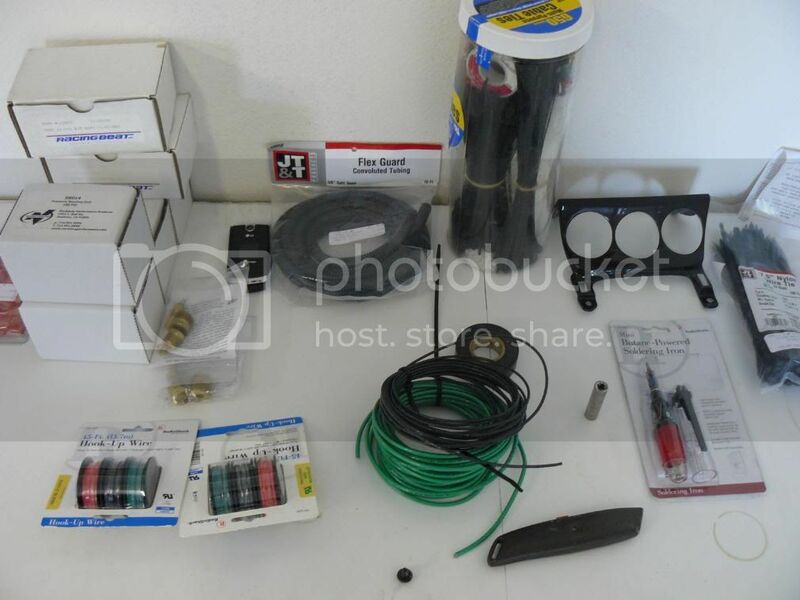 The guages were purchased from www.summitracing.com for approximately $66 each. At the end of the project you pretty much break even going digital (and buying the parts yourself) Full RB kit = $450. Last edited by Jedi54; 12-26-2007 at 05:10 PM.